Our product range includes a wide range of lm-101 f-e desktop type jammers, stg-101 desktop type jammers, stg-130 portable jammers and stg-120 pro portable jammer. 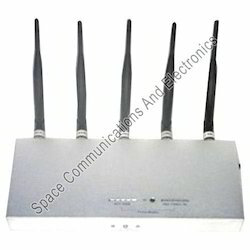 Our company is regarded as a specialist in offering a huge assortment of STG-101 Desktop Type Jammers This high-grade STG-101 is a sophisticated high power desktop cellular phone jammer. It can be used for all the worldwide network frequency system. Even it can be adapted to the vehicle directly by the car’s current design. With the current of car and car adapter design make the jammer can be used on the vehicle directly. With the constant support of our team of experts, we are engaged in offering a huge assortment of STG-130 Portable Jammers. The high-grade STG-130 is a sophisticated low power mini portable signal jammer. It can be carried and used everywhere. 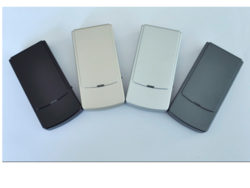 It can block different RF signals up to 10meters shielding range. This jammer is top-hidden and does not look like a jammer. These jammers are used to block different signals and are offered in various models such as TG-130A.TG-130B, TG-130C and TG-130D four types with different case color. Low power consumption makes the jammer work continuously. Our esteemed clients can avail from us the most sought after range of STG-120 Pro Portable Jammer. This high-grade STG-120 Pro Portable Jammer is a sophisticated high power pocket-size jammer. It can be carried and used everywhere. It can block different RF signals up to 20meters shielding range and is used to block different signals. We offer these jammers in four different models such as STG-120A-pro, STG-120B-Pro, STG-120C-Pro, and STG-120D-Pro.